The Ink Trap: Mini Front and Backs by Art Impressions! Hey all! 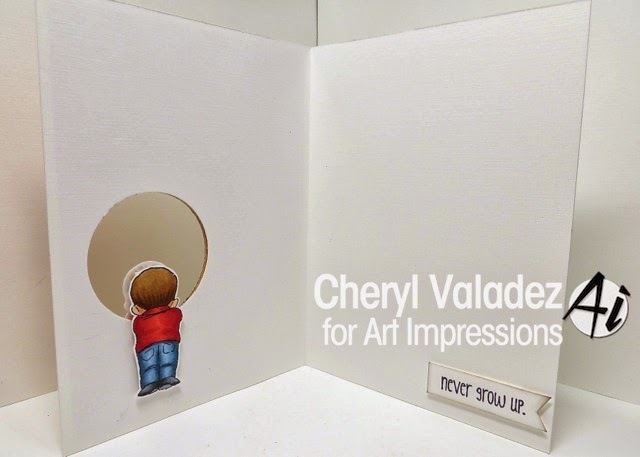 I'm back to share a new card for Art Impressions using an image from the Boy and Girl Mini Set. This image is from the Mini Front and Backs line which are so sweet and truly unique. I paired it with a 1 3/4" round punch to create a completely interactive card that's as fun inside as out. You'll find this set in the Art Impressions shop along with tons of other awesome goodies! Be sure to visit the Ai Blog daily for lots of DT inspiration.